Want a sneak peak at what we’ve been working on these past few weeks? 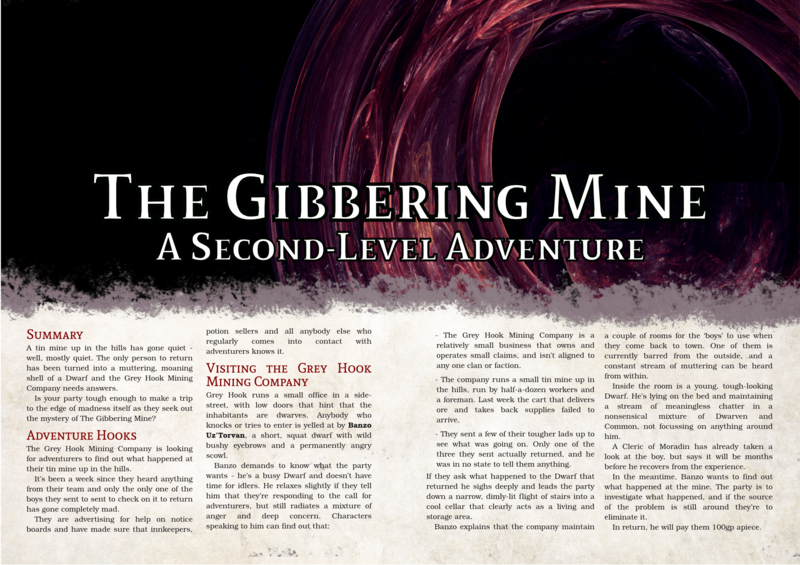 Take a look at the first four pages of a new adventure – The Gibbering Mine. This second-level adventure will see the party venture into a mine consumed with madness and face off against an iconic D&D monster. 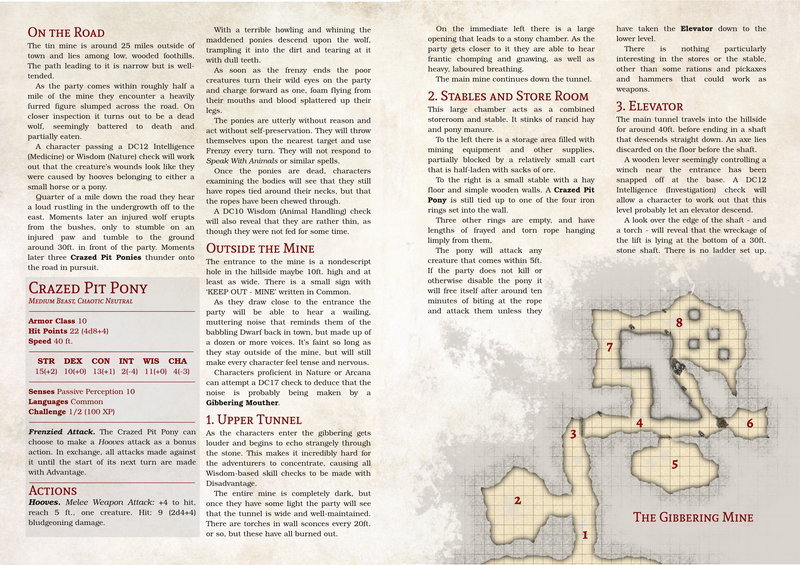 The Gibbering Mine forms part of A Call for Heroes, a collection of short adventures designed to slot into campaigns. There’s one piece of content for a party’s first five levels, all of which can be slotted into an ongoing story with little preparation from the DM. any word on when this will be released?